Christmas trees are a modern staple for for the holiday season. They are the center of decorating our homes for Christmas but they also make great topics for learning activities for children. I have found my favorite ideas across the board including ones for math, literacy, art & crafts, science and sensory. All activities that will help inspire our children to learn new topics, or practice old ones, while having holiday fun! If your child is learning geometry this Pascal’s Triangle Tree is a perfect printable activity. This may seem like a craft to kids but it is actually a fabulous learning experience. Practicing counting has never been so colorful or fun. The holiday themed Christmas Tree Math Manipulatives are great for emergent math and this holiday season! Fractions can be super difficult for some kids to comprehend, but with this Christmas Tree Fractions Printable it may be much easier! Matching games are so much fun. This Christmas Tree Number Match is perfect for little ones who are learning simple math and counting. 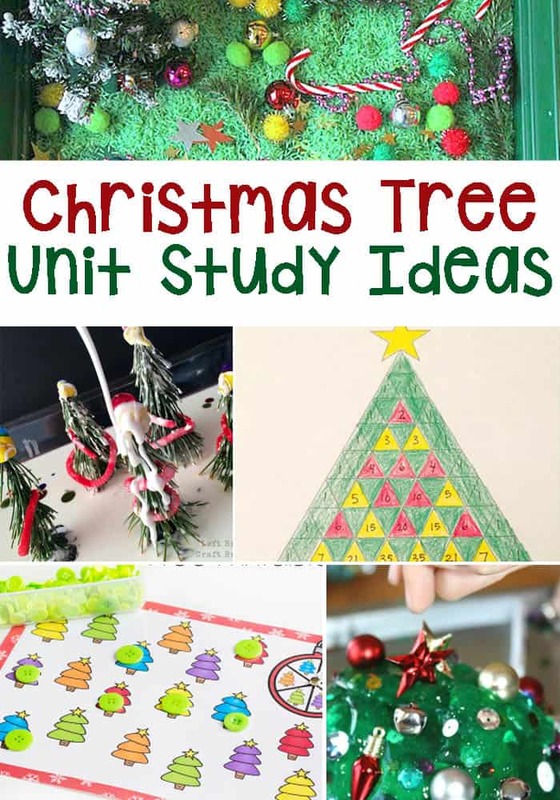 Another great Christmas inspired counting activity is Christmas Tree Counting Math Activity. This activity is super simple to set up, uses fine motor skills and strengthens counting and number recognition skills. Save all of your bottle caps for this super sweet Christmas Tree Letter Matching activity. Kids will practice letter recognition, matching upper and lowercase, and more with this fun printable! These Christmas Tree Blend Printable Puzzles are perfect for morning work or literacy centers. They will help kids get in the holiday spirit while practicing beginning sounds. These Christmas Tree Play Dough Mats are perfect for infusing sensory into literacy. Kids will enjoy the theme while practicing letter recognition! one thing that typically occurs when Christmas themes are popular is that it’s cold outside and we need more activities for inside. This hands on Christmas Tree Letter Match is perfect for getting kids moving indoors! This literacy activity uses recycled materials and can be used over and over again! This can be set out all season long for little ones to practice their abcs! This is a super simple yet so cute Christmas Tree Craft! 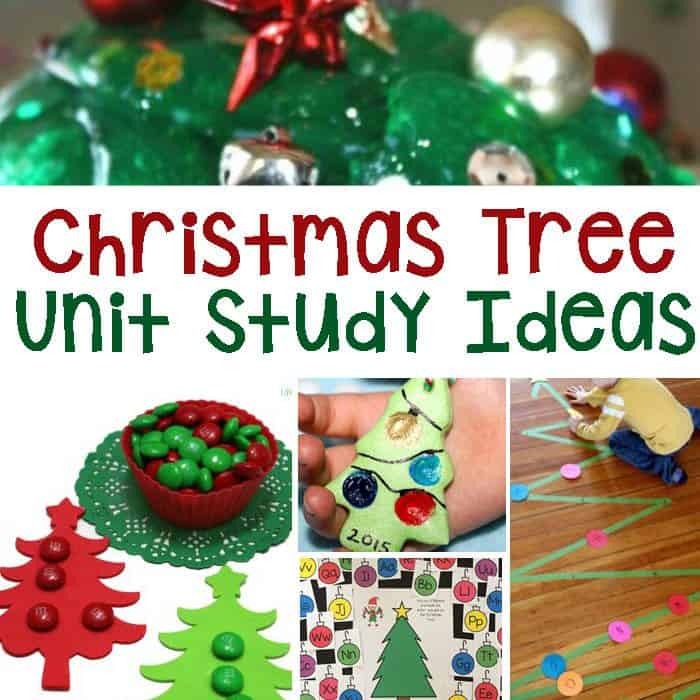 With just a few different supplies needed, kids can create their own Christmas trees in no time! Toddlers can enjoy creating too, especially with this super fun Pom Pom Painting Christmas Tree Craft. This is fabulous for creativity but also for strengthening fine motor skills. Origami is a fabulous activity for strengthening both fine motor skills and creativity. These Christmas Tree Origami Bookmarks are a fun activity and would make a great gift as well! I love these Paper Plate Christmas Trees. This activity is full of fine motor skill practice, decorations and color practice. Each child can create their tree in their own way and decorate it even more personally. Another Paper Plate Christmas Tree that can easily be decorated at any age from toddler up to adults. The pom poms are perfect for toddlers to strengthen grasping and everyone can practice colors. Building structures is a fabulous STEM activity for kids of all ages. These gum drops make this structure look just like a Christmas Tree! Our favorite science experiments are ones that create a quick reaction like fizzing. This Fizzing Christmas Tree is sure to please any science loving children! How cool is this? With just a few supplies and a little patience, kids can grow their own Christmas trees on a sponge! This is an experiment that will last all season long. Oobleck is a fabulous science experiment with a ton of sensory mixed through. Letting the oobleck ooze over the Christmas trees is bound to be a great afternoon! Science and art are infused for these Crystal Christmas Tree Ornaments. It can take a few days but these gorgeous science experiment ornaments will last for years to come. Sensory bags are fabulous for mess free play and fun. With this Christmas Tree Sensory Bag kids can practice decorating a Christmas tree without making a mess! Calm down bottles are perfect for sensory seekers and children who need help calming down. These bottles are great for eye movement strengthening in even the youngest children as well! Do your kids love slime? This Christmas Tree Slime is a step up from traditional slime. It is sparkly, slimy, gooey and so fun! Salt dough starts out with a major sensory element and turns into a fabulous art project. These Christmas Trees are so adorable and are made incredibly personal as well! Sensory bins can keep kids entertained and engaged for hours. This Christmas Tree inspired sensory tub reminds me of a deconstructed Christmas tree and I even want to dig in! I love all your wonderful printables. Your website is beautiful and easy to find things that I want. Great job!